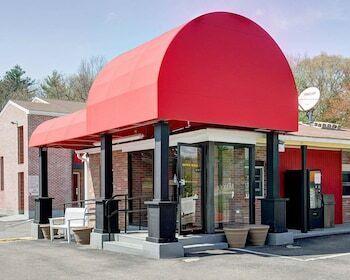 With a stay at Econo Lodge Sharon in Sharon, you'll be within a 10-minute drive of Family Funway Foxboro and Gillette Stadium. Featured amenities include express check-out, complimentary newspapers in the lobby, and dry cleaning/laundry services. Free self parking is available onsite. Located in Foxboro, The Rally Point Inn and Pub is within a 10-minute drive of Foxborough Country Club and Hall at Patriot Place.